The German midfielder complained about speculation over his future this week - but what does he expect? With Manchester City on the horizon and a Merseyside derby to come, not to mention the small matter of a trip to Crystal Palace at the weekend, Liverpool's season is entering crunch time. Distractions, then, are about as welcome at Anfield as a Boris Johnson lecture tour. These are vital games, vital days – a Champions League quarter-final, a trip to Goodison, a crucial battle to secure a top-four finish. It requires focused minds, from the top down. For Emre Can, the next seven weeks could have extra significance. They could be his last as a Liverpool player. His Reds contract expires at the end of June, and with time ticking there is no sign of an agreement arriving. The club are resigned to the idea that the midfielder will depart on a free transfer in the summer, four years after arriving from Bayer Leverkusen. Then, Liverpool took advantage of a clause that allowed non-German clubs the chance to sign Can for a knock-down price. They paid £10 million to land the then 20-year-old, and felt they'd landed a bargain in doing so. Plenty would agree, even now. Can has, after all, played 166 times for the Reds since and has been a regular as Jurgen Klopp has assembled one of Europe's most exciting teams. If they could sell him now, they'd treble their money, easy. The trouble is, they can't. Discussions over a contract extension with Can and his representatives began in the summer of 2016, but more than 18 months later there has been no progress, despite what sources describe as "an ongoing dialogue" between the parties. 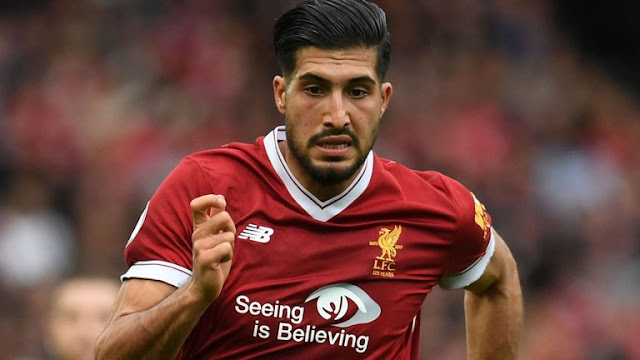 The main sticking point has been Liverpool's refusal to bow to Can's wish for a release clause in any new contract, with the club wary of setting a precedent in that regard. The Reds were able to sell the likes of Philippe Coutinho, Luis Suarez and Raheem Sterling for hefty fees on the open market in recent years, and are keen not to paint themselves into a corner in future cases. There have also been concerns raised in the Can camp about his role in the team going forward, and his wages in comparison with team-mates. All the while, the likes of Juventus, in particular, continue to feed the frenzy of speculation. In short: nobody wants to say it out loud, but he's on his way. On Monday evening, Can took to social media to denounce weekend newspaper reports that had suggested Liverpool would need to pay him in excess of £200,000 a week in order to keep him. "I've just returned from international duty with the German team," the 24-year-old posted on his Instagram. "And [I'm] working on coming back from injury. "Interesting stories about me in the press! I'm no longer going to comment on any false stories or rumours! Looking forward to getting back on the pitch ASAP." Can, of course, has every right to say his piece. If he sees reports that he believes (or indeed knows) are untrue, he has a right to correct them. Social media, at its best, allows players to speak directly to fans in a way that, perhaps, they feel unable to do via traditional media. No problem with that. The trouble is, as many Liverpool fans were quick to point out, that complaining about "false stories" is one thing, giving the real story is another. Speculation will always rage when a player allows his contract to run down in this manner. Can and his camp have certainly done little to calm the rumours over the past 12 months. Just last week, in fact, he spoke glowingly of the idea of playing in Spain, Italy, France or Germany, as well as England. His eyes, and his options, are very much open. His injury, a back complaint picked up in Liverpool's last game against Watford and exacerbated during international duty, could keep him out of Saturday's trip to Palace. Can did not train at Melwood on Monday, and with City looming large there is no chance of Klopp taking any risks. If he has not proven his fitness by Thursday, Klopp will turn to Gini Wijnaldum, Jordan Henderson, James Milner or Alex Oxlade-Chamberlain. For the time being, though, Liverpool still need Can, and the relationship between player and manager is unharmed. They speak regularly, with the regular links to Bayern Munich or Juventus or, more alarmingly, Manchester United doing little or no damage. "[Klopp] has been asked a lot of times about my future," Can revealed last week. "But he tells me as long as it doesn't affect me, it's OK."
Klopp has stated publicly that he has no concerns over the midfielder's mindset, and has trusted his countryman enough to name him captain on more than one occasion – something that happened with Coutinho shortly before his exit to Barcelona. Can's presence in all of the Reds' big game speaks volumes. He will play against City if he's fit, no question. As for the future, that's less clear. But one thing is for sure; until club or player issue a definitive update, they are going to have to learn to live with the speculation. It's not going to go away.